So many people would love to lose body fat. Whether the goal is to burn fat to allow muscles to shine through or you are looking to lose pounds, the key to doing so is cardiovascular exercise. Cardio gets your heart rate up and burns calories unlike any other type of exercise. Although there are many calorie burning exercises out there, you want to do the ones that yield the best results. A post on Getholistichealth.com has great exercises to help with joint pain. Here are the top five exercises that burn the most calories. Cycling is a huge calorie burner. It is basically the ultimate cardiovascular workout. Something as simple as an hour bike ride can burn an impressive 850 calories for women and 900 calories for men. In order to make the most out of this workout try your best to remain at a maximum intensity. Classes for cycling coaches available for everyone who is interested. Aerobics is not only an effective way to tone and tighten the body but it is a huge calorie burner. When you are just starting out learning the moves is a bit challenging but the challenging the better. When you get the hang of it you will not only be working your muscles but burning as much as 700 calories. Do not hesitate, sign up for a class at a nearby gym and see your body transform. If you like to dance and want to burn fat Zumba is perfect. The classes are so fun and are very high energy. After you learn a few moves you will have such a good time that you will forget that you are working out. An hour of Zumba can burn anywhere from 400 to 750 calories. Swimming is a wonderful exercise to integrate into your routine. If you have a pool you are set. For those who do not, get a membership at a gym that does. Aside from being able to burn an ample amount of calories, about 840 for men and 720 for women, swimming is truly enjoyable. Another advantage of swimming is that you get to remain cool and sweat free during the duration of your workout. 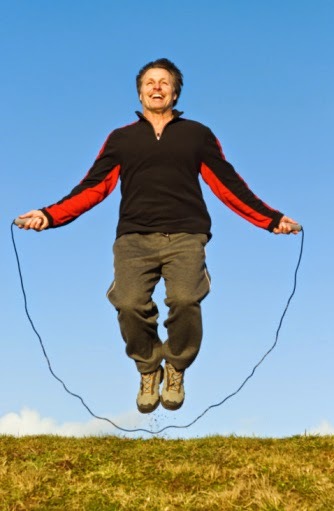 Jumping rope can burn an astounding 750 to 850 calories. This calorie burning exercise is a great option for those with kids. You can spend time playing outside with your children while becoming more fit at the same time. Jumping rope will help you drop the pounds and achieve the body you want. This article was authored by Sergeant Michael Volkin, inventor of Strength Stack 52 fitnesscards. Now available in Australia.